Keith & Denise Krebs – Patients and staff at American Mission Hospital need spiritual encouragement. The senior pastor of the English language congregation of the National Evangelical Church in Bahrain needs assistance in ministering with Christians of many races, nationalities, and denominational backgrounds. Keith Krebs serves as chaplain at American Mission Hospital. He also serves as the assistant pastor of the English language congregation of the National Evangelical Church. 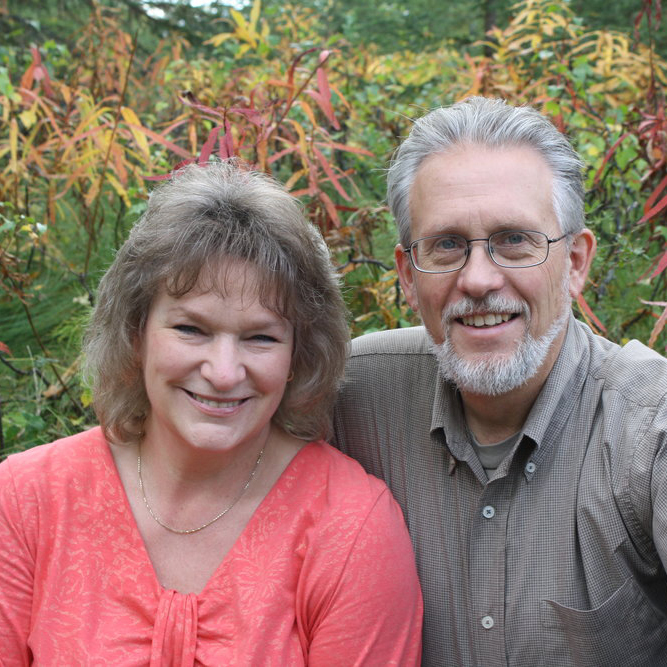 ﻿Brian & Elizabeth Bruxvoort - As a pilot, mechanic, and chief pilot for the Mission Aviation Repair Center (MARC), Brian Bruxvoort helps make evangelization and church ministry possible in Alaska's remote villages. He transports pastors to and from their congregations; brings missionaries, students receiving mission training, and work teams to their mission sites; he fly’s children to Bible camps; and helps maintain MARC's airplanes. He also connects people with the goods or services they need and helps Alaskan Christians feel connected to the rest of the body of Christ. His wife, Beth, participates in a women’s Bible study and an after-school club called Child Evangelism Fellowship, volunteers in her children’s classrooms, and reaches out to women around her who need a friend. The Bruxvoorts have four children: Brianna, Michael, Lucas, and Jonathan. is dedicated to improving lives of persons affected by Ataxia through support, education and research. The Alpha Center is a non-profit agency that provides a full range of services to women and men involved in an unexpected pregnancy. The goal is to provide positive alternatives with practical support. Since 1984, this center has helped women and men of all ages and various cultural backgrounds from the Sioux Falls community and beyond. ATLAS is a non-profit organization that offers free mentoring sessions for people experiencing: depression, loss, single parenting, addiction, marriage challenges, financial difficulty, aging parents, anxiety, loneliness, divorce, parenting issues, fear, bitterness. We help you utilize local resources, agencies, and counseling. We do not give hand-outs or provide a quick fix. We offer accountability, prayer, and encouragement to help you set goals, experience peace, hope, joy, and self-control. We will walk along side as you determine how to embrace a rewarding journey of life. The Center of Hope takes a holistic approach to serving its guests and offers several services to Sioux Falls residents in need. Visit the Care Center for winter clothing needs, bikes for work, get direction with health concerns from our Faith Community Nurse, learn about other community programs, use our phone and public computers. We seek to walk alongside people, to bring spiritual and physical health, and ultimately to change the community one life at a time. Hope Haven nurtures independence through a broad range of services for children, adults, and families with unique challenges. Committed staff value and equip individuals according to their strengths and abilities. Services are provided in Iowa and Southwest Minnesota. Inspiration Hills’ mission is to provide an environment for the individual to come to know and grow in Christ and be challenged for life in God’s Kingdom. The vision of the board is to be a uniting presence for the churches of all denominations (especially for RCA & CRC) to collaborate in kingdom work. The vision includes providing opportunities for leadership training, pastor and family care, discipleship training, spiritual retreats and other opportunities in response to local needs. a Christian radio station based out of Sioux Falls, SD whose mission is to bring the hope of Jesus to the Sioux Empire. That is the mission of Samaritan's Purse—to follow the example of Christ by helping those in need and proclaiming the hope of the Gospel. The Amazing Journey of a Shoebox Gift Begins with You and Results in Evangelism, Discipleship, and Multiplication. Our Daily Bread is a devotional calendar-style booklet published by Our Daily Bread Ministries in over 55 languages. The booklet is one of the most widely read Christian devotionals in circulation today. Compassion International connects a child living in poverty with a loving, church-based child sponsorship program. Support provides: medical checkups, nutritious food, health and hygiene training, educational assistance, services like surgeries and disaster relief, mentoring & most importantly they hear about Jesus Christ. ARC sponsors a compassion child. Our compassion child is Christa from Haiti. The Banquet meal ministry was founded in 1985 starting with just one meal per week. We now serve 13 meals per week at two locations. The Banquet is a volunteer-based ministry, which means our meals are paid for, prepared by, and served by volunteer groups who come from Sioux Falls and the surrounding area. For more than 50 years Words of Hope has pursued a single mission: to proclaim Jesus Christ through broadcasting in the languages of the world's peoples, seeking with its partners in ministry to build the church by winning the uncommitted to faith in Christ and by encouraging Christians in the life of discipleship. This corporation is founded for the purpose of proclaiming the Gospel of Salvation by Grace in Christ and Him crucified; for the salvation of souls and the establishing of believers, and doing whatsoever is usual, convenient or expedient in such ministry; to maintain a place for the sheltering, lodging, feeding and clothing of the unfortunate, indigent & transients.